In an industry where few women are positioned in front of the mic, Vildana “Sunni” Puric is on a mission to make a name for herself. 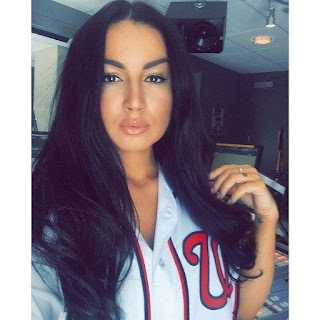 During the late mornings and early afternoons tune your radio to WPGC 95.5 and you can catch Sunni on the airwaves as the voice of Washington, DC., ironic considering at one point the Bosnian native didn’t even speak English. As a radio host in the coveted midday slot she’s breaking down doors that aren’t often left open for the female minority, proving that sacrifice and hard work pays off when relentlessly pursuing your passion. It’s almost hard to believe that at one point Sunni hated radio. The on-air personality is a perfect balance between upbeat and down-to-earth, the home girl that you can kick it with and talk everything from gossip and glamour to what’s going on in the gritty streets of the DMV. When Sunni’s in the city you can catch her on the social scene hosting parties or interviewing celebs, but when she’s not living the glamorous life she’s in the streets giving back to the community that she so closely connects with. For Puric, it’s not simply charity work to write off on her taxes, but a reminder of her humble beginnings before Reggie Rouse, VP of Urban Programming for CBS, called her during her stint of unemployment to fill the midday slot. “When I see a homeless person I’m like yeah, I know exactly what it’s like to sleep out in the cold. I know what it’s like to go days without food,” she says on our call.